Since 1941 Siemens has been producing telephones in the small town of Bocholt, Germany. Today there are still 550 workers making cordless telephones for Gigaset, which separated from Siemens in 2010. In 2018 Gigaset started producing the first smartphone made in Germany. 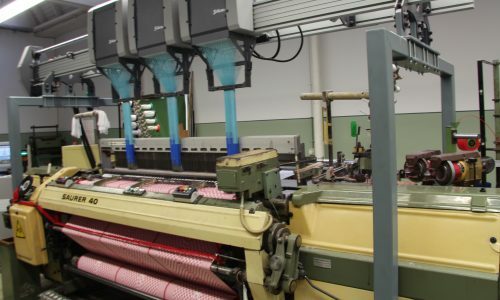 While the individual electronic parts for the GS185 smart phone are still being imported from Asia the finished product is put together in Bocholt. The special thing about the production is that the phone is put together by 8 employees at a time in a U-production-line with the help of robots by the company Universal Robots. These digital colleagues are involved in some of the production processes that need high technical precision. Other tasks that need more sensitivity are executed by employees. 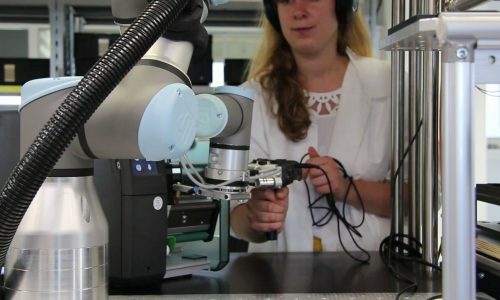 In this recording you can hear two Universal Robots that screw 11 tiny screws into the backs of a smartphone each. This is the last working process before the phones go into quality inspection. 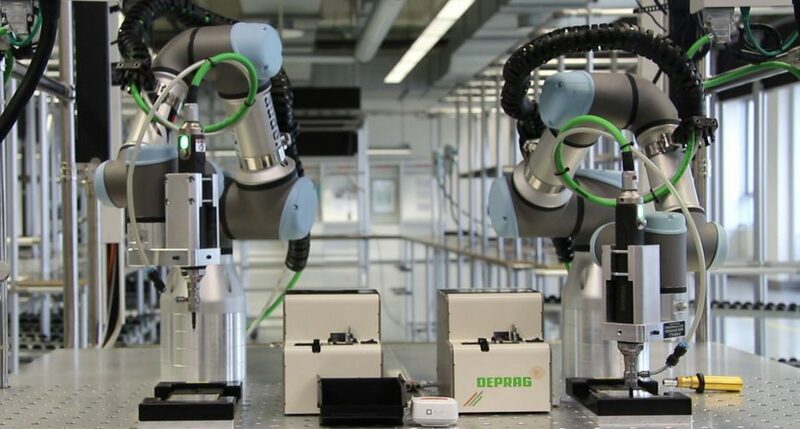 Gigaset employees call the robots affectionately Ernie and Bert. An employee places the phones into trays that keep them in place and starts the robots by touching a screen. Then the robots pick up the screws, one at a time, from a small machine that automatically refills them. The robots are programmed in a way that they take the differently sized screws in a certain order. The refilling machine places the screws in fixed positions so that the robots always take the right size. Also the robots screw always with the exact same torque. In contrast to the machines in the cordless telephone production, the robots make hardly any noise. 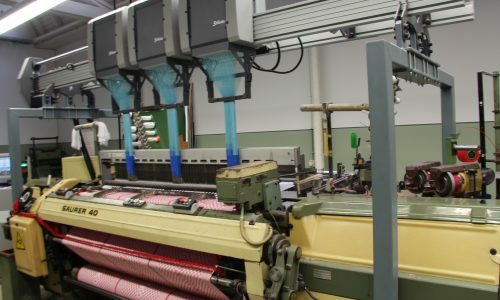 In the recording you can hear the clicking of the refilling machine, when the screws are moved into their positions, the quiet smacking and air stream, when the robots pick up the screws via a pneumatic system as well as the actual screwing sound and a short beep each time a screw is done.